What does acceleration mean to you? Good or bad? 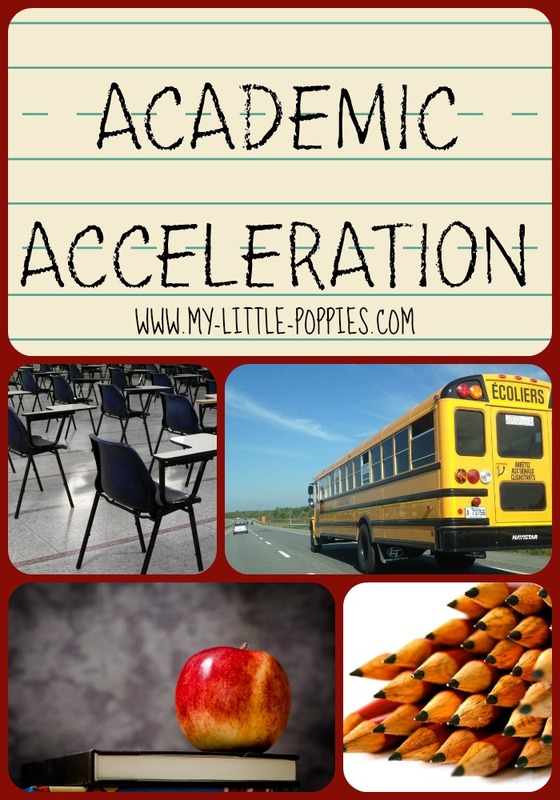 Were you accelerated as a child? How does it affect your adulthood? Welcome to the world of acceleration! Don't miss our previous Blog Hops, Gifted Advocacy and Testing. If you'd like to join our next Blog Hop, visit Gifted Blog Hops. Special thanks to Pamela S. Ryan for our Blog Hop graphics! For more on acceleration, visit Hoagies' Academic Acceleration and read Acceleration by David Elkind and From "the saddest sound" to the D Major chord: The gift of accelerated progression by Miraca Gross, plus lots more research, success stories, teachers' guidebooks and more. Suffice it to say I’ve witnessed accelerations not only as a parent, but also as a teacher, advocate, and friend. All of the accelerations I’ve witnessed have supported, not stunted, the individual’s social and emotional growth. The accelerated children I’ve followed into adulthood all are scoring high on the life happiness rubric. Many are scoring high on the financial security rubric as well. Imagine you are travelling on a straight road, but the speed limit is low. You wish to go faster, but there are several speed cameras that do not allow you to go above that speed. You may slow down, but you cannot go any faster. Using Newton’s law, it seems reasonable that when we talk about acceleration for students, we should not only look at moving a child ahead in school, but we should look at the forces acting on the child and evaluate more than just a child’s ability to move up to the next level of learning.